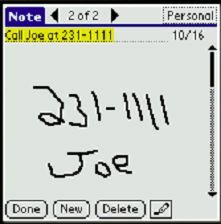 Palm Desktop for Vista: Thar be changes here! So, as I wrote in the piece “The Desktop is a Dying breed”, I was in the need of PC mobility, for in my house. Well, last week Tiger Direct had a deal on refurbished Gateway laptops, and the price was too good to pass up. Out came the credit card, and a few days later I had my “new” laptop. Like many new laptops, it’s running Vista Home (Premium), which is a different enough beast from XP that many applications don’t work properly. Vista itself is pretty slow on a laptop “out-of-the-box” unless you tune it up, but that’s something for a different day. Now that I have the laptop, it’s time to see if it could replace my main machine as my personal productivity device. 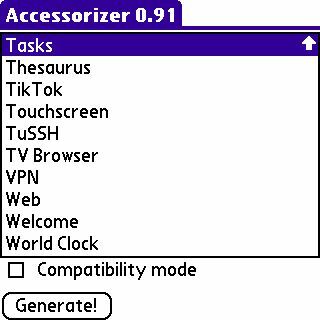 So, I start installing applications and testing them for compatibility. One of the first to install and test is the New Palm Desktop beta for Windows Vista. 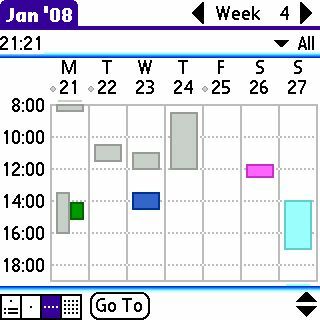 The Palm Desktop application looks and feels the same as the old one, so I won’t go into it. 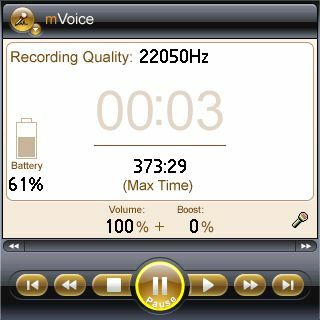 There are some major changes to the HotSync Manager and some others under the hood that anyone upgrading to Vista and the Palm Desktop Beta should be aware of. 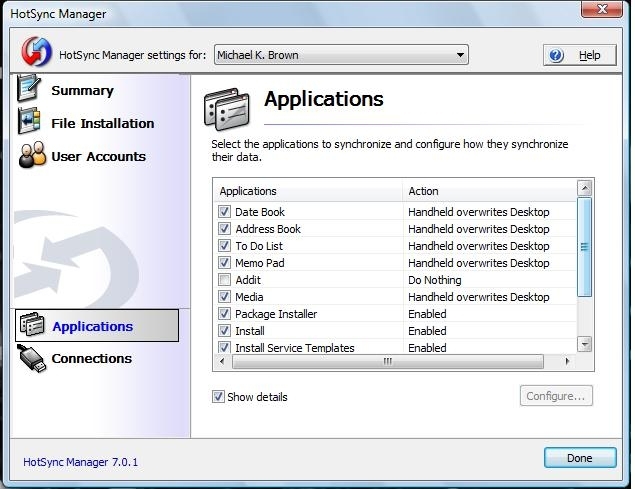 Firstly, when you right click on the HotSync manager icon in the system tray, you only get two choices, as opposed to the many on the previous versions of PD; Settings, and install. Install launches the Vista compatible install tool, which resembles the original install tool and not the newer QuickInstall. 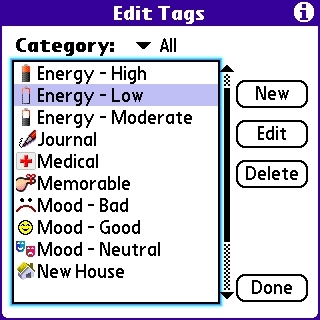 The settings option launches the screen below. Yup, HotSync has been “Vista-fied”. 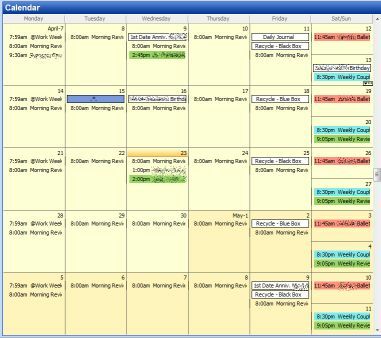 Looks pretty, and surprisingly, is actually very well laid out and organized. Applications is where you will find your conduits. It works much like the old one, where you can double-click to set-up the conduits. 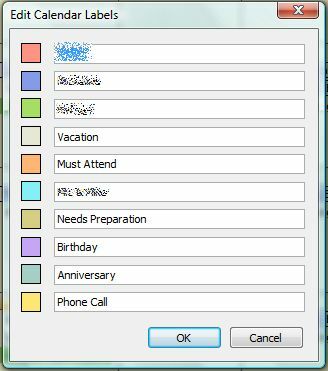 You have to click the Show Details checkbox in order to show how the conduits are configured. 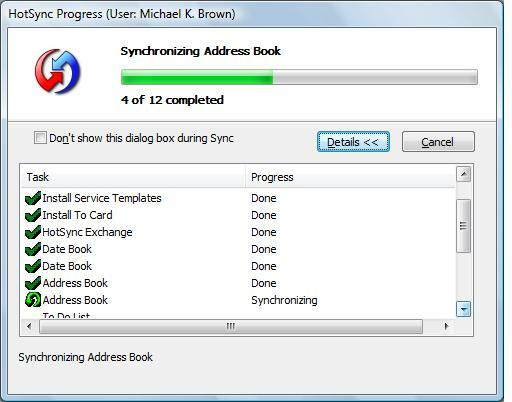 The HotSync Progress Dialog gives you the option of hiding it during the sync progress, which may make some people very happy. 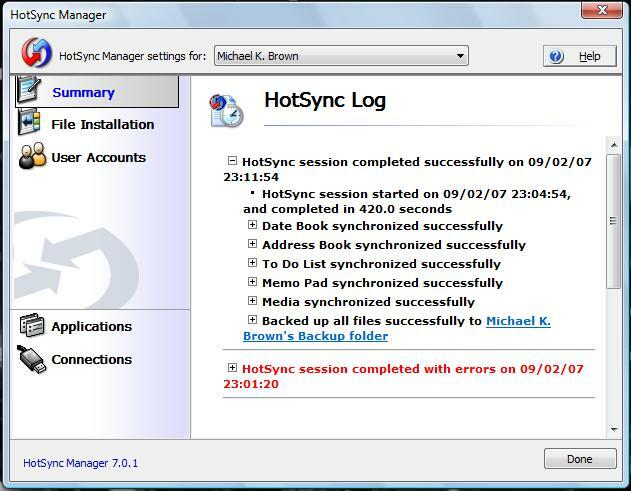 The HotSync log is now a part of the HotSync Manager itself, and is displayed in the Summary screen when you hit the link shown at the top of the summary screen. 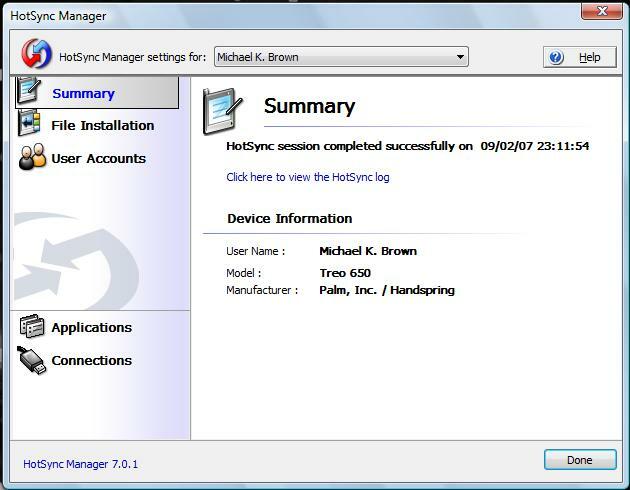 The HotSync log is still created as a HTML file in the root of your Palm Desktop User Directory, and HotSync settings are saved in the sync.ini file in the same location. 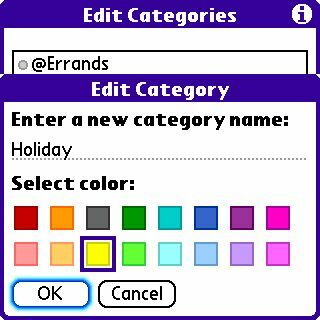 The major changes are where it stores your user data. 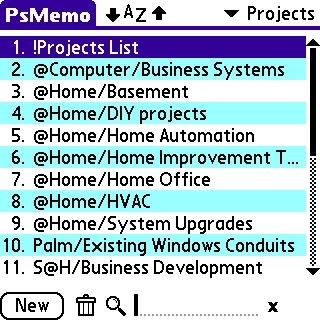 Palm Desktop veterans know that in the past, Palm has stuck data in C:\Palm and later C:\Program Files\Palm or C:\Program Files\palmOne, in a directory that relates to your HotSync user name. With Vista, that has all changed (finally, and for the better!). 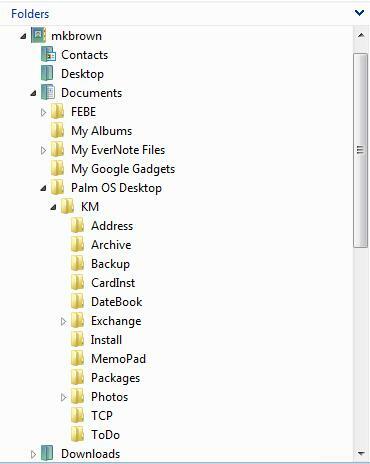 Palm Desktop program files are stored in, wait for it… C:\Program Files\Palm but your user data is actually stored where user data is supposed to be stored, in your user directory. This means that backing up your Palm Desktop data is just as easy as backing up the rest of your user files. You can see in the picture below how it’s now organized. Now, here’s the real problem for those that make use of third-party software like Dimex, Dawn, or any other package that accesses Palm Desktop data directly; Palm Desktop for Vista no longer uses .DAT files to store your PIM data in. 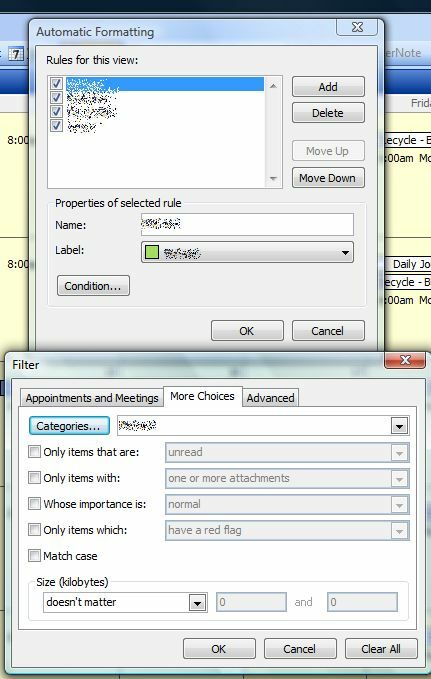 They’ve made the switch to using Microsoft Access databases (.mdb) to store the data. 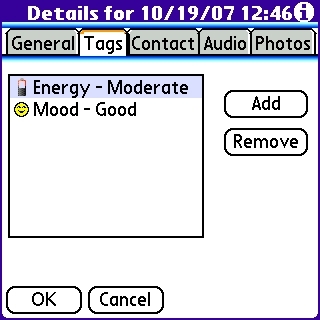 That’s a mixed blessing; your old software won’t work unless it’s updated to work with the Access databases, but because they’re now Access databases, it means that it’s likely that there will be more third-party plugins available to use the data sometime in the future. Doesn’t help you now, though. If you’re thinking “hey, I’ve got MS Access, I’ll just open and modify the databases directly”, you might want to hold off on that, or just open it read-only for viewing. 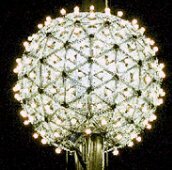 Palm is using a BLOB (Binary Large OBject) to store large amounts of data in each of the PIM applications, and to my knowledge, have not released any information about their formats. If you try to modify a record, Access doesn’t know how to handle what’s in the blob, so it may trash your data. 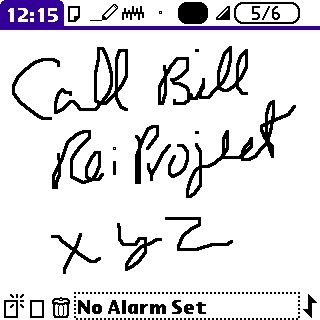 Third party developers should encourage Palm to release information on the formats, or create an API (Application Programming Interface) for others to use to access the PIM data (pardon the pun). Third-Party Plugins may not work; contact the vendor for support information. 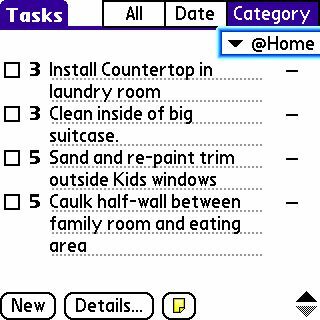 Documents to Go version 10 is the only one that works with the new Palm Desktop for Vista, so you’ll have to shell out for the upgrade (I did). 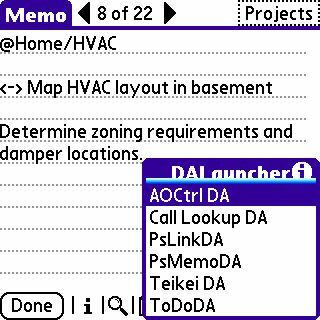 Other conduits may not work or may need updated versions; contact your vendor or read the FAQ’s on their website. And finally, Vista is Slooooooooow on a laptop; spring for as much RAM as you can afford, and Google for “Vista Laptop performance tweaks”. That will help a lot!